The CrossFit training method based on constantly varied, functional movements, performed at a high intensity. Periodisation is the planned variation of training variables over time to create a specific training adaptation. So the problem is, how do these two elements blend together, one is variable and one is planned. A beginner CrossFitter can get away with just doing the general strength work a few times per week and they will get stronger. 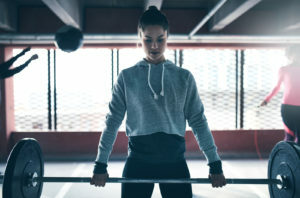 However, as an intermediate or advanced lifter, one needs to consider that a sporadic lifting regime can mean you are leaving strength gains on the table. First of all we need to cover some definitions. For example, a novice lifter may begin back squats at 3 sets of 10 for 30kg, initially this type of volume and intensity is efficient enough to cause an adaptation; that being strength gains. However if the novice lifter was to remain at this level for a period of weeks, eventually they would begin to see no return from their work; that is, they would stop getting stronger. Progressive overload is the training principle where you progressively increase the amount of sets, reps or load lifter, ideally every 1-2 weeks. This ensures you continue to improve in your strength. In the example above the novice lifter may progressively add small increments in load and remain in the 8-10 repetition range or even increase the total sets completed within the week. Periodisation is when you strategically plan and vary your training volume and intensity over time to elicit a certain adaptation. The goal is to eventually have a peak in performance at a certain time or prepare for another periodised training cycle. Linear periodisation – The gradual increase in one or more training variables over time. Example would be to increase the volume of work done each week while maintaining or slightly increasing the intensity. Undulating periodisation – Is the planned alterations in training intensity, volume and reps within a given week or several week cycle. For example training on 3 days per week could be dedicated to a low volume/high intensity, medium volume/medium intensity and a high volume/low intensity day. Block periodisation – Breaking down specific training periods into 2-4 week cycles. Each training block can focus on a specific goal with intensity and volume, i.e. improving overall strength and endurance followed then by improving maximal strength. 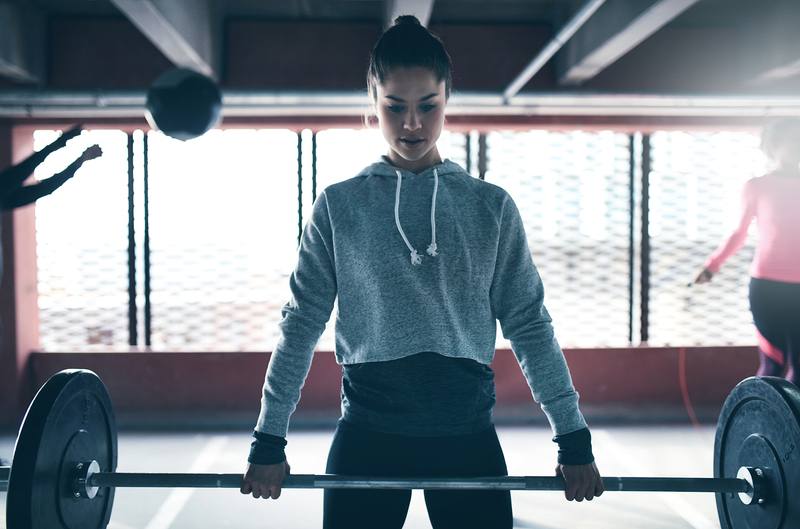 The problem with strictly keeping CrossFit training so variable is that you may not be doing enough strength work or even working all of your weaknesses. One who is doing a very general training program may not squat for over 2 weeks, this is not ideal in terms of our long term strength development. 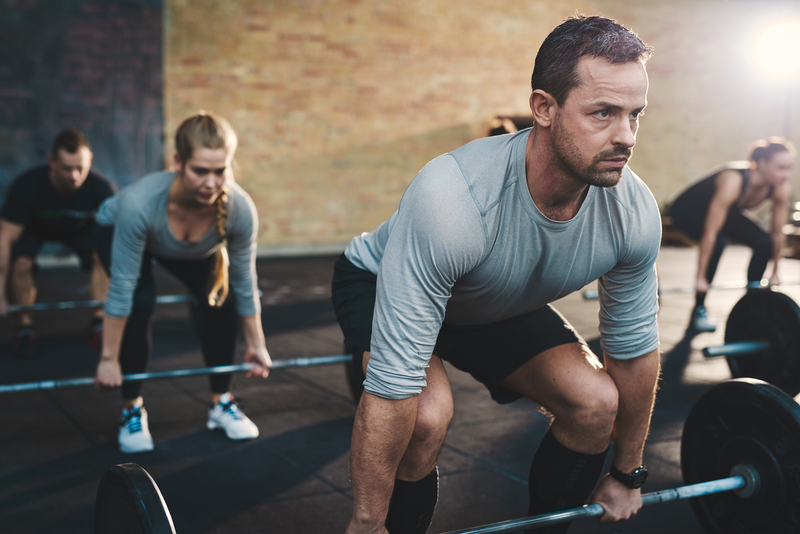 As CrossFit training includes the 10 domains of fitness; strength, power, speed, endurance, stamina, flexibility, balance, coordination, agility and accuracy, training cannot be so variable that you are missing out on some and focusing on others. A CrossFitter needs to develop in all of these areas over time if they are looking to become an ‘exercise specialist’. 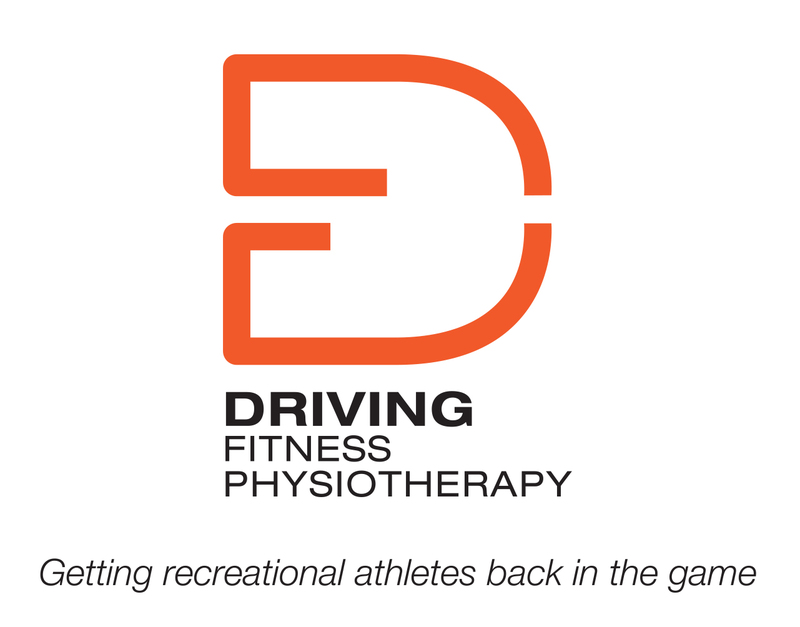 Over a period of 3-6 months, an athlete needs to dedicate time and training cycles to improving their weaknesses while hitting the 10 domains of fitness. If a CrossFitter wanted to implement a periodised approach to training to improve strength, you would implement a structured strength program accompanied by metabolic workouts which are still continuously varied, but not so random that they interfere with your strength gains. For example, excessive cardiovascular training could interfere with an athletes strength development especially if done prior to strength work. An athlete may dedicate a period of 2-3 months of working out this way instead of the other way around, as essentially a CrossFit athlete needs to be prepared for anything! If looking at the 10 domains of fitness, one may consider that their weaknesses need to be trained on a more frequent basis then your strengths. For example you could dedicate a period of 2-3 months to improve on your overhead strength or gymnastics components while maintaining or slightly improving on others areas. So the question is…How to implement a periodised approach to CrossFit to improve in strength? If we are just considering an increase in strength as an area to improve (i.e. 5, 3 and 1RM lifts), one would need to plan and implement accordingly with the appropriate volume, intensity, reps etc. 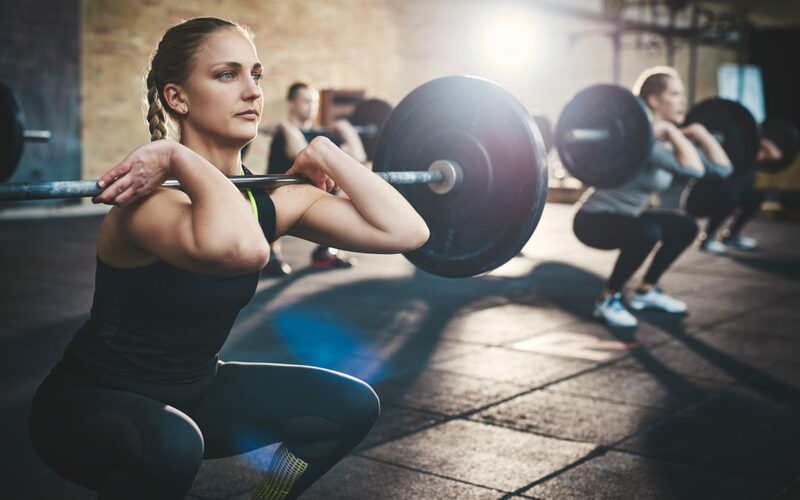 Considering the main strength based lifts in CrossFit would be the squat, deadlift, overhead press, pull ups (plus their variations including front squats, overhead squats and overhead pressing variations), one would need to include all of these in their training cycle. If the improvement in strength is the main goal than each movement would need to be trained a minimum of 2 x per week with a volume of at least 6-8 sets per muscle group or in this case movement pattern (lower body push, upper body pull). An example program may look like this, bear in mind there are multiple way to break this up. The following program has the goal to improve total volume, general muscular strength and muscular hypertrophy. This could be for any lift including squats and overhead presses. See table 1. With the above example the athlete should aim to increase load slightly with each week (2.5kg for lower body movements and 0.5-1.5kg for upper body movements). By week 3 the athlete then increases load again to aim for only 8 repetitions. On the other hand if an athlete is looking to build maximal strength, motor unit recruitment, motor unit firing rates etc, they would train with the intent to increase their load and reduce their total volume over time. Essentially this is increasing the intensity of the lift each week by lifting with greater loads. By the end of the cycle, total volume should be lower than the beginning, however reps and intensity will be at its peak. See table 2. Again, each week, you should aim to increase the load lifted while sticking within the recommended rep ranges. The end of week 8 and 9 should be maximal lifts at a maximum effort. Ultimately periodisation does not have to be complicated, if you go over board regarding complexity you may not get the desired results you’re after. An athlete needs to consider their main goals, focus on their weaknesses and create a periodised plan which allows for consistent growth across the board. If you would like to try CrossFit, take advantage of our 2 week unlimited trial.